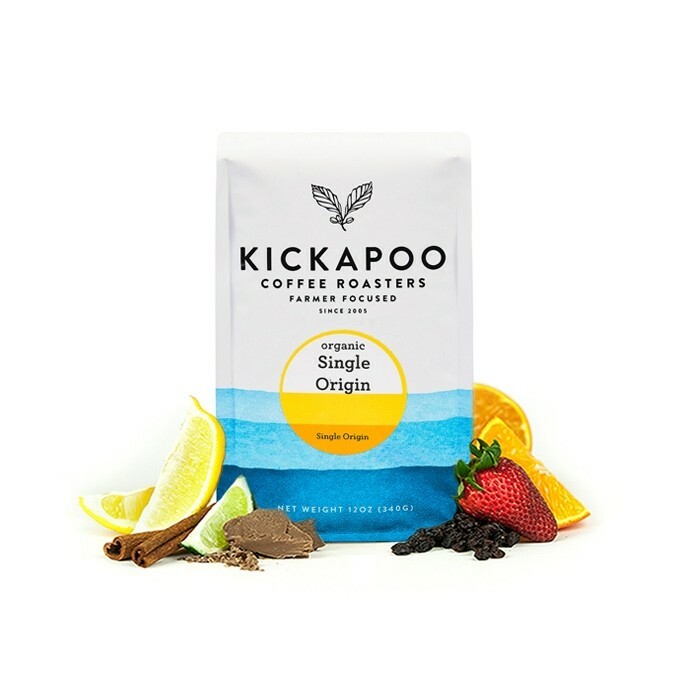 This is the Organic Peru Huabal brought to you by Kickapoo Coffee Roasters. This fully washed and Organic certified coffee was sourced from the growing region of Huabal, Cajamarca in Peru and was grown between 1,450 - 1,900 meters. The cup has a dynamic range of notes, with rich cocoa and almond sweetness balanced by a stone fruit and citrus acidity. Was great for the first week. After a week it got very sour. This is a very good coffee! I liked the balance between the chocolaty and fruity notes, but I think a better combination would be nutty and fruity. I think the body and mouth feel of this one was on-point though. Having a flavor profile of both fruity and chocolatey is difficult to balance. In the end, this coffee was just okay. Delicious, definitely would order this or something similar again. This is another excellent coffee. Complex, with changing flavors as you drink it.